The synergy of sequence and alignment in the recent occurrences is nothing less than sheer magic that is only hindered each time I try to step in and help. As I stand still and just observe, I cannot help but marvel at the magnificent phenomenon taking shape around me; right down to the fact that when it returns I will be living in a new place, finally out of a burdensome situation with my old place. The journey of my vision is active, never ending. It is filled with excitement, adventure and magic–all the elements of passion—that combined with the intense focus attained by having a vision board, and with sincere gratitude, I travel this journey in joy! 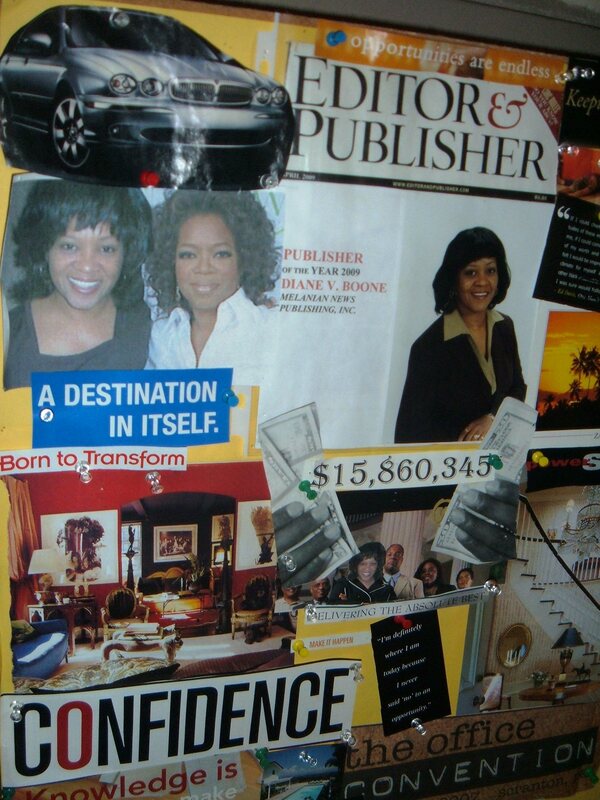 VISION BOARDS ARE POWERFUL TOOLS that have been used by some of the most successful people on this planet for centuries. Many of us have them by happenstance; young people make them by intuition….BUT MOST OF US DO NOT UNDERSTAND THE SCIENCE BEHIND THEM. please leave your contact information and I will send you the details to my upcoming workshop and how you can host a workshop for your organization. We literally just wrapped up your board into a cardboard mailing tube this weekend. BUT alas one word that fell off was missing! My associate Marlene and I looked high and low for it — was it in the closet where the board was? Was it in the box somewhere? Hmm here I was just about to FINALLY send the board back to you when I FOUND IT — the word — CONFIDENCE — which you have my dear over and over and over. !!!!!!!!!!!!!! It will go out to you priority mail with tracking this week. Glad you like the book! 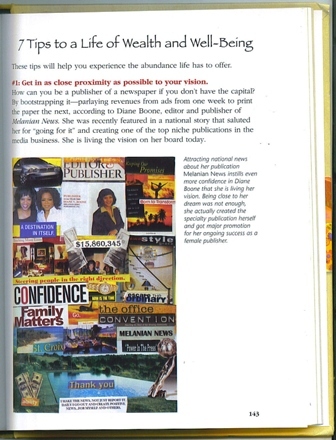 It’s in 6,000 bookstores and of course you can see more at http://www.amazon.com/visionboard TOO! Congrats on seeing your visions manifesting worldwide. i just made my first vision board. actually i’ve made three medium sized boards with different themes.